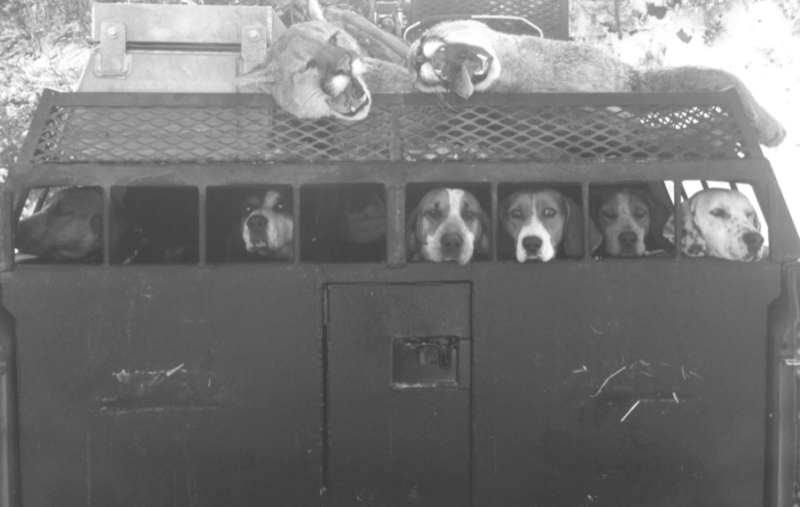 For us it begins and ends with the hounds. They are our life and our passion. 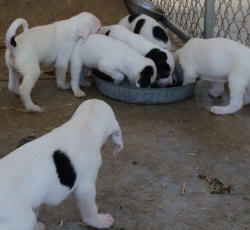 Our breeding program is simple- best to the best. 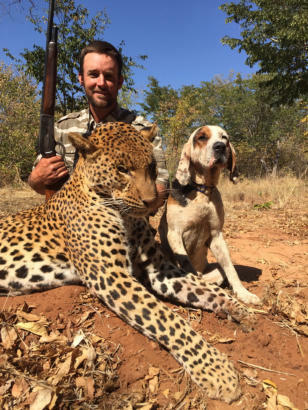 If a dog won’t put his nose down or doesn’t have the heart and grit to hunt day after day they don’t make the cut, no matter how ‘pretty’ they are. We do not raise registered hounds we raise working hounds. These are not show dogs they are hard working trained professionals who have made our living for the last 15 years. 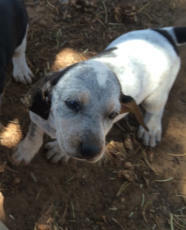 We are currently taking deposits on puppies. 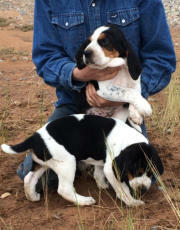 We have 2 litters pups that will be sold as started dogs at 7mo old and ready for pick up in December. All dogs we sale are spayed or neutered. $2000-$1500 If you are interested you can reach us at biggerstaffguides@yahoo.com. 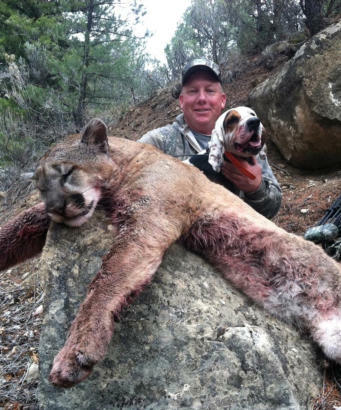 Our stud dog Spud, has proved himself on both Mountain Lions and Leopards. 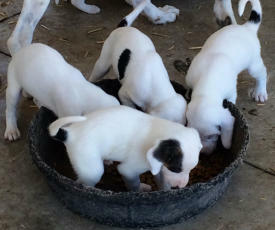 And his pups are proving themselves just as capable here at home and in the arid dry conditions in Africa.